Free download liteCam latest version. liteCam has the quality to record video of screen activity which users can use in lessons, presentations, manuals, e greetings, archiving anything which they can improve with video clips. It does not only record video, screen shots and web cams but it also has game activity. The users will find that it can record and insert picture in picture video, so that users can record their victories and post the clips online with embedded video of themselves while playing, or to create educational and training videos insert instructions and comments. This program also presents the option of Draw on screen, file conversion capabilities and customizable opacity. Evaluation release of liteCam is free to try for 30 days, through it places a watermark on output. 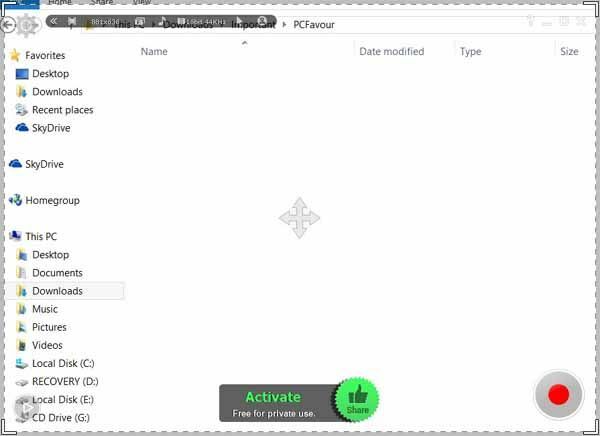 Its’ installation shown users account name and their download’s evaluation status. To active the Next button the registration screen required something in the company field. The start menu folder of this app contains four shortcuts such as liteCam web site, liteCam, liteCam Info and uninstall liteCam. The user interface of this program takes its visual and functional clues from office, especially with its Ribbon Style toolbar. LiteCam supports a series of quick easy access icons on the left and of the Title Bar.